Today sees the release of The Snow Queen on DVD which is a magical wintery tale based on the classic story by Hans Christian Anderson. 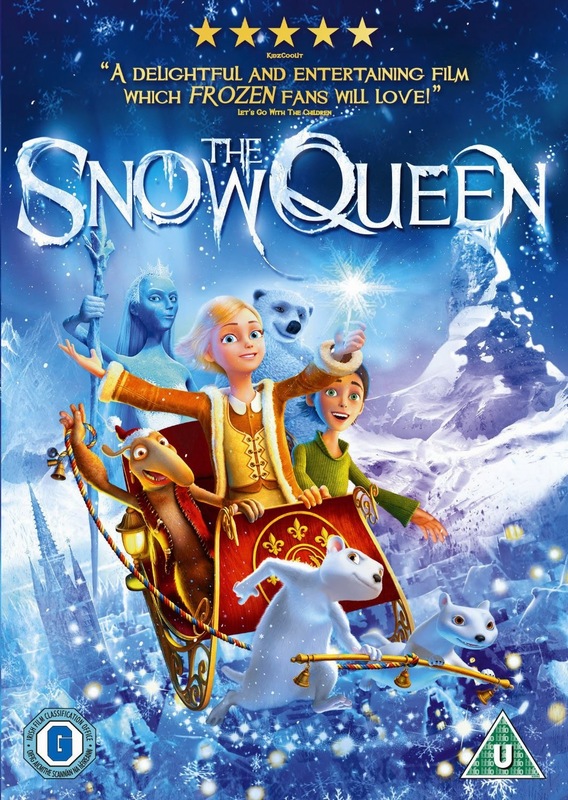 We all know that the story of the Snow Queen was the original inspiration for the Disney Frozen movie but this animated depiction of the classic fairytale is far closer to the original. In the story, Gerda, an orphaned girl must take on the evil Snow Queen in order to save her kidnapped brother. The story is given a light-hearted twist with the addition of two fun characters - Gerda's pet ferret Luta and a friendly troll call Orm. Lara was enhanted by the snowy, icy theme of the movie and I witnessed her laugh out loud at some of Orm's silly antics. I think, at 5 years old, she found some of the darker elements of The Snow Queen a little uncomfortable - she is a fairly evil woman, it has to be said! The movie does have a happy ending though so it is a great family movie and perfectly timed for festive christmassy-ness! If you enjoy The Snow Queen then be sure to look out for the next part in the magical story - The Snow Queen : Magic of the Ice Mirror which is coming to cinemas on December 11th 2014.